3713 Dover Dr, Mountain Brook, AL.| MLS# 843095 | Richard Jacks UABLIVING.com 205-910-2297 | Birmingham AL Real Estate | Contact us to request more information about our Homes for Sale in the Birmingham AL area. This is a GOOD ONE! 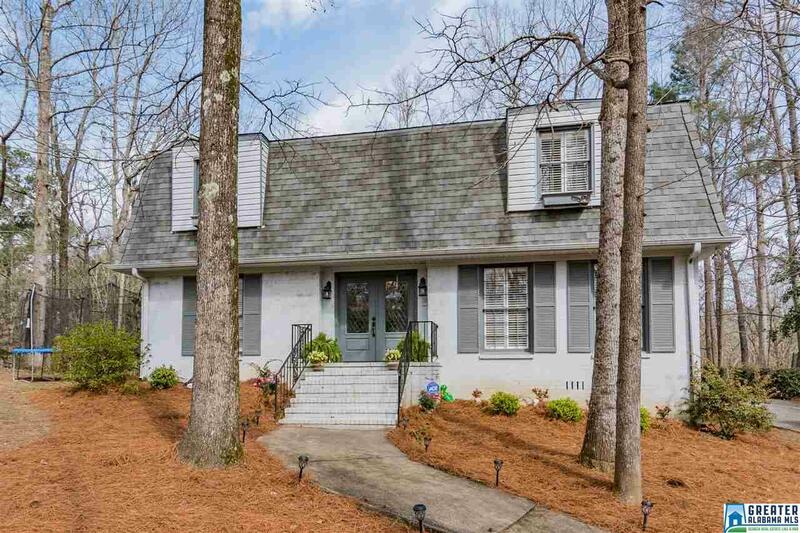 This 4 bedrooms/ 2.5 bath gem is located on a large lot and on one of Brookwood Forest&apos;s favorite streets! Space abounds in this home beginning with the large dining room and living room which are adorned with gleaming hardwoods, crown molding and plantation shutters. The family room is the perfect family gathering spot with a cozy fireplace and tons of room for everyone. The kitchen boasts stainless appliances, newly refinished cabinets and granite countertops. The kitchen opens up to the bonus room and office. Doors lead out from both the family room and bonus room to the deck and private backyard which make entertaining a breeze! Don&apos;t miss this incredible home! Driving Directions: Hwy 280 To Overton Road. Turn Left On North Woodridge. Turn Right Onto Dover Dr.